EjectUSB is a simple utility created by William Hedrick, that can be used to quickly close all running programs from a USB device and then eject the drive for safe removal. 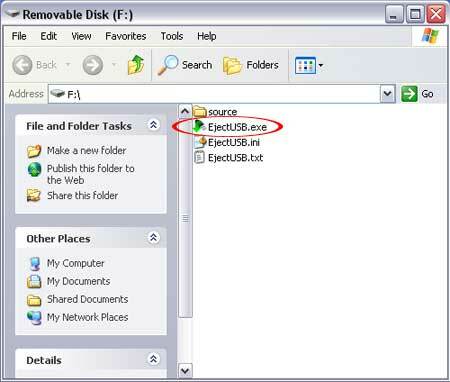 Eject USB will automatically attempt to close all running applications on the drive it was launched from. In addition EjectUSB will close explorer windows and remove registry entries and recent document shortcuts referencing a specific USB device or folder. This tool makes for a great way to ensure your drive is safely unmounted and programs are completely closed before physical removal.